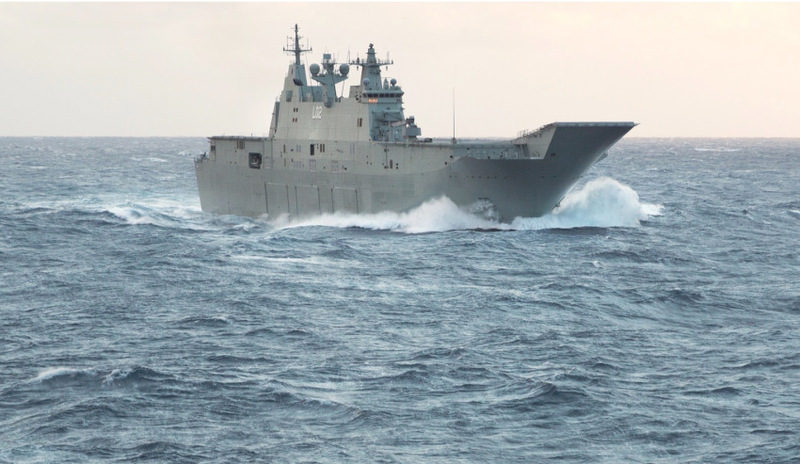 BAE Systems Australia has announced that it has submitted its bid to the Australian government to provide ongoing sustainment and support for the Canberra Class Landing Helicopter Dock (LHD) ships, LHD Landing Craft (LLC) and associated shore support facilities. BAE Systems has partnered with Atlantic & Peninsula Australia, Saab Australia and Navantia Australia to offer an experienced program team to maintain the capabilities of the LHD assets, optimise the sustainment and support system, and deliver the best outcome for the Commonwealth. BAE Systems Australia chief executive Gabby Costigan said, "BAE Systems is proud to have submitted its response to the Australian government for the LHD Asset Class Prime Contractor (ACPC) program. We have a long history of supporting the LHD and maritime sustainment for the RAN that not only includes the LHD but also four other classes of ships." BAE Systems Australia was the prime contractor for the Canberra Class LHD project and has provided the initial five-year in-service support for the ships. The company has supported HMA Ships Canberra and Adelaide from their base at the Royal Australian Navy’s Garden Island facility, providing the sustainment necessary to ensure the ships are capable and available to undertake a range of operational requirements. Navantia is the LHD platform designer and constructed the hulls for the Canberra Class. Navantia is also the platform designer and prime contractor for the 12 LLCs. The LLCs were designed and built to specifically operate with the RAN’s two LHDs. "Through our role in the LHDs acquisition and transition to service, we have developed a deep understanding of them and we have a strong Australian supply chain in place to support their sustainment," Costigan said. The Canberra Class, provides the ADF with one of the most capable and sophisticated air-land-sea amphibious deployment systems in the world. These 27,000-tonne ships are able to land a force of over 1,000 personnel by helicopter and water craft, along with all their weapons, ammunition, vehicles and stores. The RAN operates two of the vessels, with the first LHD, HMAS Canberra, commissioned on 28 November 2014 and the second ship, HMAS Adelaide, commission on 4 December 2015.